By my crude calculation, the not-for-profit (well I’ve never seen any) Shots Ezine in the period January-June 2017 carried no fewer than 136 blog posts (possibly more by the time you’ve read this); at least 158 reviews of new books; 17 author features and interviews; and my own humble offering, the Getting Away With Murder column has mentioned at least 138 authors past and present and their books, sometimes favourably. Now I don’t think that’s bad track record, but no doubt our tyrannical Headmaster editor, Mike ‘Tombstone’ Stotter, will demand that we “must do better” in the second half of the year. 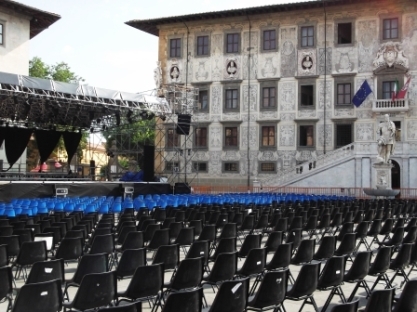 This year’s Chianti Crime Festival took place mostly al fresco in heatwave conditions in the historic Tuscan town of Pisa, where the central stage was erected in the Piazza Del Cavalieri. There was talk that this successful festival may be on the move following a most attractive sponsorship bid from the Valpolicella Producers of Veneto, which would mean a move to Verona. I tried not to worry about such organisational matters, preferring to brush up on my Italian with one of the new translations of the works of Margery Allingham, in this case Traitor’s Purse. Speaking of which – see what I did there? – I really must mention, indeed I am contractually obliged to, that I have a new novel out this month, the latest in my ‘continuation’ homages to late, great Margery Allingham and her famous gentleman sleuth Albert Campion. 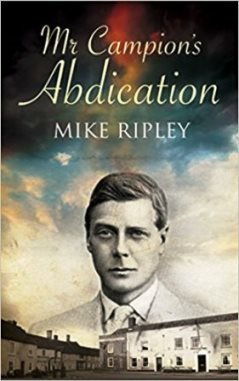 Mr Campion’s Abdication is published by Severn House on 10th July (and in November in the US) and takes place, for the most part, on Allingham’s favourite stomping ground of east Suffolk, with flashbacks to the Abdication Crisis in 1936 and to the Clerkenwell of 1955, when it was known as ‘Little Italy’. 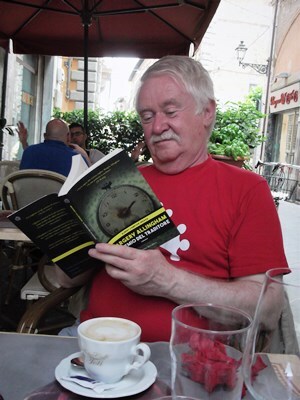 I am also indebted to Italian friends on the island of Sardinia who insist that a local radio station there(no doubt playing the raucous music of the modern beat combos one hears about) has been named in honour of my recent book Kiss Kiss Bang Bang. They say there’s no rest for the wicked, nor for Lee Child it seems, for in addition to a collection of his own short stories, a new novel coming out this Autumn and generously writing introductions to notable works of non-fiction, Lee has now edited Match Up (Sphere) where he has managed – somehow – to control twenty-two authors, and even more impressively the characters they created, in an anthology of short stories where the writers’ protagonists team up to solve crimes and catch killers. 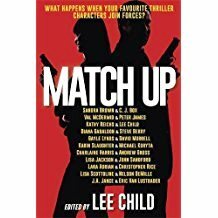 There are far too manynuggets to list here, but highlights much surely be the matching of Lee’s Jack Reacher with Kathy Reichs’ Temp Brennan and, flying the Union Flag for Britain, the triumvirate of sleuths provided when Val McDermid’s Tony Hill and Carol Jordan team up with Peter James’ Roy Grace. Simon Scarrow has had great success with his epic adventures set during the Roman Empire, but now comes bang up to date with video games, female FBI agents and, of course, serial killers. 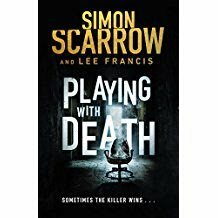 Playing With Death (Headline) is, I think, Simon’s first contemporary thriller and is writtenin conjunction with Lee Francis, a former student of his. Before donning the Golden Age continuation robes of Dame Ngaio Marsh later this year, the incredibly talented Stella Duffy gives us her take on the ‘domestic noir’ psychological thrillers which seem all the rage these days. 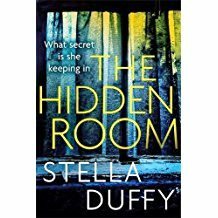 The Hidden Room is published by Virago and given its provenance is likely to be a superior entry into what must by now be a crowded market. 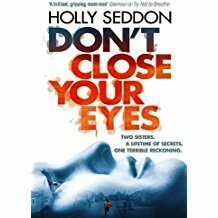 And for a double dose of domestic noir, try Don’t Close Your Eyes by Holly Seddon (Corvus). ‘Double’ as the twin protagonists are actually twins, separated by a cruel domestic twist in their youth. Now one, a failed rock star who is agoraphobic and subject to panic attacks, is being tracked down by the other, who has, not to put too fine a point on it, considerable problems in her own domestic life. At times it is difficult to work out which of the twins is the more disturbed, or which deserves our sympathy, but there is no doubt the writing is powerful and in the scenes describing the agoraphobic sister’s plight are positively harrowing. 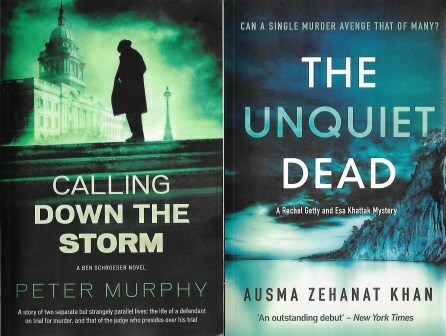 A brace of new novels from No Exit Press this month both draw on their highly qualified authors’ considerable experience in the legal profession. I will, therefore, be careful. Calling Down The Storm is the fifth thriller to feature the 1970s barrister Ben Schroeder, as created by Peter Murphy. Apart from having the good sense to live in East Anglia, Peter Murphy enjoyed a long legal career which included several years as counsel at the Yugoslavian Wear Crimes Tribunal in The Hague, so when it comes to matters legal, he knows of what he writes. Debut novelist Ausma Zehanat Khan, a British-born Canadian now living in America, holds a doctorate in international human rights law, specialising in war crimes in the Balkans, as well as being a former editor of the US magazine Muslim Girl. Her novel The Unquiet Dead begins with a body at the foot of ‘Scarborough Bluffs’ – that’s Scarborough, Toronto, Canada rather than North Yorkshire by the way – but the plot snakes back to the dreadful Srebrenica massacre of Muslims during the Bosnian war in 1995; and one of the investigating officers is Esa Khattak, a second-generation Canadian Muslim and dedicated policeman in a more liberal environment than that offered by ‘flame-fanning bigots across the border’. I had always known that the character of Dikko Henderson – ‘our man’, or rather Australia’s, in Tokyo and James Bond’s contact in You Only Live Twice – was based on Ian Fleming’s friend and veteran Asian correspondent Richard Hughes. 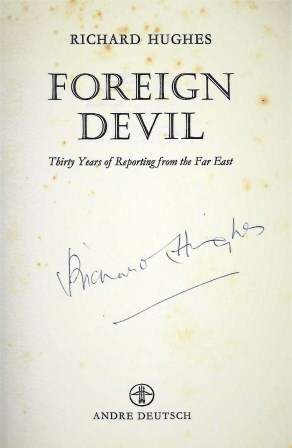 Only recently, however, have I managed to obtain a copy of Hughes’ memoir of his reporting career, Foreign Devil. 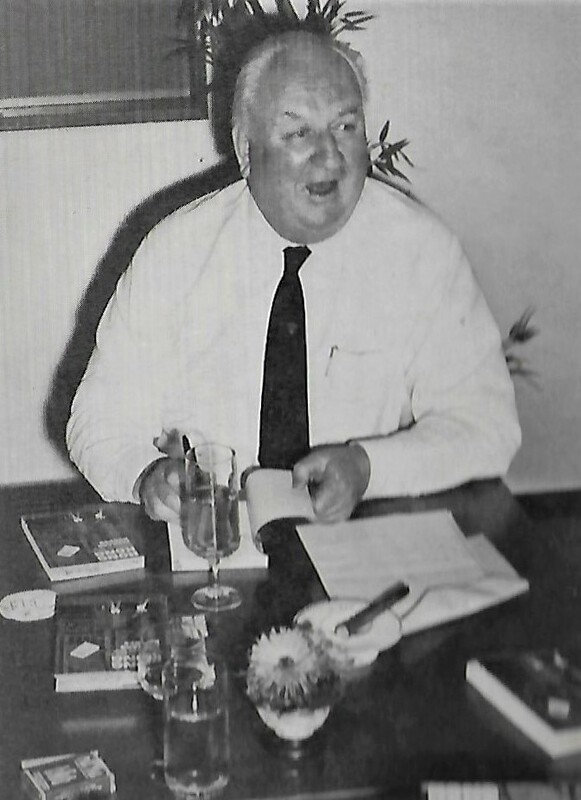 When he decided to set his next Bond adventure in Japan, Fleming turned to Hughes for help in his research and a suitable itinerary was drawn up which, not surprisingly, included a fair amount of fine dining and drinking, but Foreign Devil reveals an unusual aspect of the drinking habits of the man who made the vodka martini world famous. Each evening Fleming would write up his notes from that day’s travels, lubricated by a steady supply of bourbon which he had packed in one of his suitcases. With the natural curiosity of the born journalist, Hughes asked Fleming why he preferred bourbon to Scotch whisky. Fleming answered with ‘an abstruse personal theory which would have intrigued his medical advisers’. Fleming maintained that the cardiac muscles expanded under bourbon but contracted under Scotch. This piece of medical self-delusion was a convenient alibi for Fleming’s heavy smoking (which his doctors had warned him about), the theory being that the beneficial effects of bourbon in ‘expanding’ the arteries around the heart would counter the impact of Fleming’s awesome consumption of cigarettes. 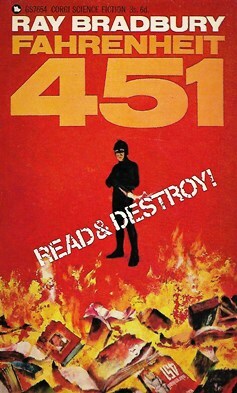 You Only Live Twice was published in March 1964. Ian Fleming died in August the same year, aged 56. Younger readers of this column – or at least anyone not old enough to have mistakenly bought PPI – can be forgiven for not instantly recognising the outline of ‘The One and Only’ (as the logo explained) John Creasey. 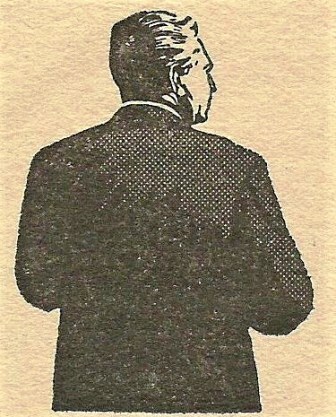 A founder of the Crime Writers’ Association and prolific author of more than 600 novels (yes, 600), John Creasey (1908-73) used several pen-names including J.J. Marric, Michael Halliday and Anthony Morton and created numerous series featuring characters such as, ‘The Baron’, Commander George Gideon of Scotland Yard, ‘The Toff’ (all of whom featured in films and television series) and Dr Palfrey of ‘Department Z5’. I cannot claim to be any sort of authority on the works of John Creasey, but I have now read one, so I will. The first thing which struck me about The Prophet of Fire, a Dr Palfrey novel originally published in 1951, was how long it took to explain (if indeed it ever did) why his friends and family referred to Palfrey as ‘Sap’. It turns out – and I had to look it up – that it comes from the initials of his full name, Stanislaus Alexander Palfrey, but the fact that this is not explained means that Creasey (and an editor if he had one) was either careless or supremely confident that the reader had read a previous Dr Palfrey novel. 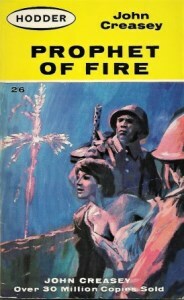 In Prophet of Fire, Palfrey and an American chum venture into Soviet Russia (on foot, from Czechoslovakia) at the request of an Anglican bishop in order to rescue a priest who is stirring up a religious revival among the godless Bolsheviks by producing pyrotechnic fiery crosses in the night sky. The Russia described is certainly a grim and godless one, and a most dangerous one for anyone woman on her own whenever a patrol of lascivious Russian soldiers passes by, but our heroes make it to Moscow and manage, more but luck than judgement, to put a spoke into the workings of the MVD secret police. Le Carré this is not; if anything it is more reminiscent of Dennis Wheatley’s The Forbidden Territory from 1933, though not as exciting. From my expert vantage point of having read one book, I think Creasey’s greatest asset, his speed, was also his greatest handicap. There is a lovely story from 1956 when was forming the Crime Writers’ Association (I suspect the Detection Club wouldn’t have him) and to promote the whole business of crime writing, he suggested that CWA members should sit at a desk in the Oxford Street windows of Selfridges and write a thriller within a week. Not surprisingly, no other members volunteered to join him in this stunt and he himself was dissuaded by wiser heads who didn’t want the whole creative process made to look too easy. The conflicts resulting from the break-up of the former Yugoslavia in the 1990s have already provided plotlines for mysteries and thrillers, notably Dan Fesperman in his 1999 debut Lie in the Dark and Janet Neel in Ticket To Ride in 2005 (recently reissued). 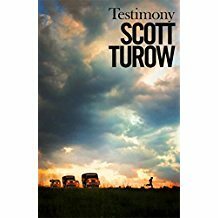 Now American big-hitter Scott Turow tackles the aftermath of the Bosnian War via a case at The Hague’s International Criminal Court investigating the overnight disappearance of 400 Roma refugees from a camp near Kosovo in 2004. Testimony is published by Mantle later this month. 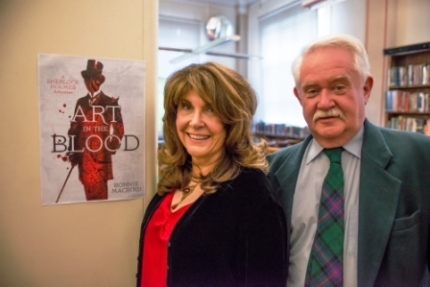 Fans of Sherlock Holmes – and I hear of them everywhere – will be looking forward to the second part of the trilogy of novels commissioned by the Estates Division of HarperCollins from Bonnie Macbird at the end of the month, following the success of the first volume Art in the Blood which Bonnie launched in London in 2015. 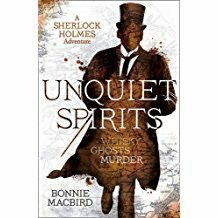 With Unquiet Spirits, Sherlockians certainly look like getting their money’s worth with a promise of ‘ghosts, whisky and murder’ in a plot which swings from the French Riviera to a whisky distillery in Scotland and features a rival French detective called Jean Vidocq, a surname familiar to many students of crime and crime fiction. 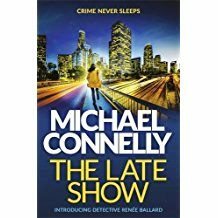 Michael Connelly is a consummate professional when it comes to crime writing and has produced a long backlist of novels featuring Harry Bosch, an always believable cop with an international fan base. Now he introduces a new character on to the Los Angeles beat he is so familiar with, Detective Renée Ballard who works the graveyard, or night, shift known as the Late Show where the detectives are often the first-responders to crimes but rarely get to see them through to solution after the day shift takes over. Renée Ballard is Connolly’s first new protagonist in ten years and looks like a ‘keeper’. 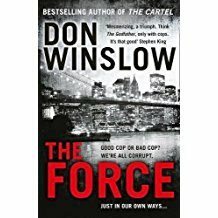 The Late Show, published by Orion, is an impressive ‘debut’ – if you can call an author’s thirtieth novel a ‘debut’ – and the interaction between the cops out there on the front line brought back fond memories of when I first discovered Joseph Wambaugh’s Hollywood Station series. 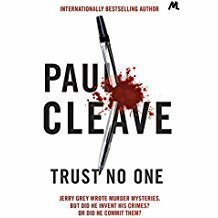 When I hear the words ‘a dazzling literary thriller’ I usually reach for my pistol, as somebody famous (but I can’t quite remember who) once said. However, the news that Raven Books are to publish Social Creature by Tara Isabella Burton in June next year did catch my eye as the book is also described as a Ripley story for the Instagram age. That most upright of organs, The Bookseller, carried a disturbing story on 26th June, reporting that certain airports in the USA were now insisting on detailed examination of all reading material carried by passengers. This it seems is a pilot study which could be rolled out to all airports by Homeland Security, with all books having to be removed from hand luggage and examined as a passenger goes through Security. Whether officials are looking for concealed explosives or just making a judgement on reading habits is not clear, but it sounds worrying. When governments start taking an interest in books, it is always worrying and never ends well.